Intensive Hosting. Intensive Hosting Overview. Why Intensive Hosting? Download "Intensive Hosting. Intensive Hosting Overview. Why Intensive Hosting?" 1 Rackspace is the world s leader in hosting. We deliver websites, web-based IT systems, and computing as a service. Our rapid growth is the result of our commitment to serving our customers, known as Fanatical Support and our exclusive focus on hosting. As a managed hosting provider, Rackspace supplies and manages the necessary superstructure (network, data centres and systems technology); web, application and database servers; network devices, bandwidth; and managed services. Rackspace offers a choice of Microsoft or Linux managed servers, which are perfect for businesses running medium to large web hosting environments, backed by our unparalleled Fanatical Support. We individually design each customer s configuration to match their specific requirements and all servers come with premium hardware and are backed by our 1-hour hardware replacement guarantee (see SLA section, page 6) Rackspace has the largest multi-homed self-healing network available in any UK data centre. The 100% Cisco Powered Network is built on hardened routers and audited by Cisco, which ensures maximum-security protection. The network also incorporates a patented Intrusion Detection System (IDS) to protect against external threats. This allows us deliver on our 100% network guarantee. Rackspace has three data centres which are all engineered with fully redundant connectivity, power and HVAC to avoid any single point of failure, and is staffed 24 x 7 by highly trained technical support staff. In addition multiple levels of security are employed to ensure that only data centre Operations Engineers are physically allowed near your routers, switches and servers. This allows us to deliver on our 100% infrastructure availability guarantee. 5 detection systems to a physically secure data centre and monitored network, we take a multilayered approach to keeping your application hosting operations reliable and secure. 2. Backup and Restore Rackspace employs a powerful suite of technologies and methods to deliver a highly automated and robust backup. This suite of technologies is run by highly certified experts to ensure your data, designs and applications are protected. From data backup needs analysis to scheduling as per individual needs, to rapid data recovery and restoration, we take a comprehensive approach to backing up and storing your data. 3. Server Administration Rackspace offers comprehensive administrative services for the ongoing active management of fundamental networking components as well as the routers, hardware, software and applications that run your Internet operations. These take the pressure off your IT staff and help reduce the time and cost of deploying and managing your web infrastructure. 4. Trending and Reporting Rackspace provides a sophisticated set of reporting tools that track, analyse and explain every important detail of the performance of a customers Web platform and applications, from bandwidth reporting to security event and web traffic reporting. The information is then customised into an easy-to-access and understandable report. This gives customers the insight needed to reduce costs and risk and to improve the performance and profitability of their web based operations. 5. Deep Monitoring Rackspace provides monitoring tools to help prevent frustrating security breaches and costly basic hardware or software failures, thereby helping to guarantee a high quality of service for end users. Using sophisticated monitoring tools like Dell Open Manage, Microsoft Operations Manager (MOM) and Nimbus for Linux solutions, IntensiveCare experts are able to deliver more responsive and robust monitoring solutions for performance monitoring and benchmarking. 6. Rapid Deployment and Scaling Rackspace has invested heavily in the skills and technologies needed to quickly build, configure and launch Web servers and applications such as industry leading online times, capacity planning and analysis and instant scalability. This enables our customers to take on new projects and grow quickly and handle spikes in traffic. 7. Superstructure (Data Centres, Network, Servers, Software) Rackspace has superior facilities including 3 world class data centres, Cisco Powered Network, Dell Hardware, leading backbone providers, 6.3 Gbps of connectivity and 100% uptime network SLA. Intensive Service Level Agreement (SLA) Rackspace sets the standard with one of the most aggressive SLAs in the hosting industry, guaranteeing a Zero-Downtime Network and one hour hardware replacement. 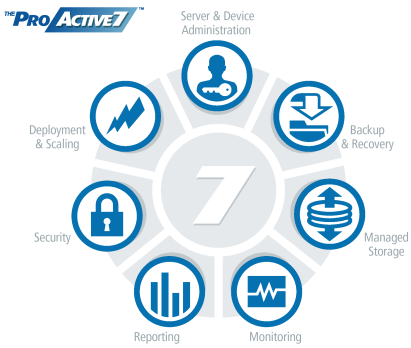 In addition we provide service level guarantees around the core set of ProActive 7 services. 8 in place with our various bandwidth suppliers and this enables us to guarantee that all packets will leave our network at full speed. Bandwidth utilisation The Rackspace UK Network is currently at approximately 20% capacity at peak times, which allows us to accommodate even the largest spikes in traffic. As network utilisation reaches 30% we will automatically add more network capacity to ensure that our customers never experience network degradation, even if one of our providers has an outage. Network providers Sprint, Level 3, Abovenet, Tiscali, Cable and Wireless, Verizon and LINX LINX membership LINX is a neutral not for profit partnership between Internet service providers globally. Rackspace is a member of LINX and has a co-operative peering agreement which provides us with a physical interconnection to exchange Internet traffic. Rackspace Certifications, Partnerships and Awards Rackspace has various certifications and partnerships with many industry leaders including Red Hat and Microsoft. This allows us to collaborate on the best solutions, tools and procedures needed to deliver the hosting environment that our customers demand. In particular our partnerships with these industry leaders mean we receive emerging products and technologies while they re still in the development cycle. This allows us to work with our customers on platform upgrades and technology testing months before public release. Red Hat Advanced Hosting Partner Rackspace has always been a staunch supporter of open source and the open source community. We ve extended this support to a partnership with Red Hat. We were the first Red Hat Premier hosting partner in Europe. This designation means that Rackspace possesses the industry's highest levels of support and knowledge of the Red Hat Linux platform. This depth of knowledge is essential to our ability to deploy, scale and manage mission-critical Linux hosting environments. Microsoft Gold Certification Rackspace s Intensive Hosting received the Microsoft Gold Certified Partner accreditation for its expertise in Microsoft Hosting, making it one of only six Application Infrastructure Providers (AIPs) in the world with this top-tier designation. To achieve Microsoft Gold Certified Partner Status, Intensive passed rigorous evaluations by certified, independent auditors who determined that we deliver the highest level of fully managed services available on the Microsoft Platform. The Microsoft Gold Certified Partner Programme provides recognition to companies providing Hosting & Application Services that have demonstrated a consistent, high quality delivery of solutions built on Microsoft technology and framework. The programme only awards certification status to those that meet eligibility qualifications, proven service quality and operational readiness benchmarks. 9 Microsoft Hosting Solutions Provider of the Year Microsoft honoured Rackspace in the annual Microsoft Certified Partner Awards with Hosting Solutions Service Provider of the year in 2003 and Microsoft describes Rackspace as having made a name for itself through its policy of providing Fanatical Support to customers and selected Rackspace for their industry leadership and advanced use of Microsoft technologies to deliver superior managed solutions. Management Today/Unisys Service Excellence Awards Rackspace was nominated in the Management Today/Unisys Service Excellence Awards for four years in a row, winning the Learning Organisation Award in 2003, the Small Business Award in 2004 and the overall award in These awards recognise the Rackspace outstanding customer service and employee relations. They demonstrate the huge emphasis Rackspace places on employees to provide the best customer service possible and the dedication to their vision of Fanatical Support. National Business awards Rackspace received the award for Customer Focus in the National Business Awards in November The Customer Focus award is presented to the organisation that can best demonstrate that it has the customer at the heart of its business and deploys and manages its resources to most effectively meet the needs of its customer base. Winning such a prestigious award (known as the 'Business Oscars') highlights the superior support that Rackspace provides for their customers, arguably the best in the country! Dell Rackspace partners with Dell to offer reliable and highly scalable managed hosting server and storage platforms. HP Rackspace partners with HP to offer branded AMD servers with dual power supply and a reliable architecture. In addition full monitoring is available through HP insight manager. Cisco Cisco provides end-to-end enterprise network solutions from the most comprehensive line of networking products available in the Industry. Rackspace uses Cisco networking products exclusively and is a certified Cisco Powered Network. MySQL Rackspace works closely with MySQL to offer the highest level of support for its suite of database applications. Rackspace is the only MySQL Certified Hosting Provider because of our extensive expertise in the deployment and management of MySQL technology. data center - why choose a data center facility Do you have the highest levels of security, redundancy, reliability, infrastructure and technical expertise necessary to operate your Internet operations? managed servers - why choose a managed service provider? managed servers - why choose a managed service provider? Do you have the highest levels of security, redundancy, reliability, infrastructure and technical expertise necessary to operate your Internet operations? Company Profile Outstanding data centres. Expertise you can trust. Europe s leading provider of premium carrier-neutral data centres. colocation vs. managed servers - the difference Do you have the highest levels of security, redundancy, reliability, infrastructure and technical expertise necessary to operate your Internet operations? Total Message Care. Why E-mail Sorting Solutions? Network Monitoring. Easy, failsafe, and complete visibility of your network. Our customers have the same view as our NOC technicians. EHIBIT Q to Amendment No. 60 - APPENDI 8 TO SCHEDULE 3.3 TO THE COMPREHENSIVE INFRASTRUCTURE AGREEMENT APPENDI 8 TO SCHEDULE 3.3 TO THE COMPREHENSIVE INFRASTRUCTURE AGREEMENT EHIBIT Q to Amendment No. Data Centre Stockholm II, Sweden Flexible, advanced and efficient by design. Data Security Policy Contents 1. Introduction 3 2. Purpose 4 3. Data Protection 4 4. Customer Authentication 4 5. Physical Security 5 6. Access Control 6 7. Network Security 6 8. Software Security 7 9. Reliable hosting services have been a feature of our service portfolio for over 10 years. Hosting Capabilities. Enterprise Grade Hosting for Mission-Critical Business and Online Applications. Managed Hosting. Cloud Hosting. Is increasing reliance on your enterprise network holding back business? Managed Services Buying Guide Eight ways to sustain 99.999% SLAs for vital business processes. In the real world. w w w. s t r a t u s. c o m Mission-critical SLAs demand mission-critical managed services. One software solution to monitor your entire network, including devices, applications traffic and availability.